Condolences messages are pouring in following the death on 07 February 2013 of Bishop Thomas Olmorijoi Laiser of the Evangelical Lutheran Church in Tanzania (ELCT) North Central Diocese. The church received condolences from the President of Tanzania Dr. Jakaya Kikwete; the Christian Council of Tanzania (CCT); the Lutheran World Federation and the Church in Bavaria, among others. In his message President Kikwete expressed profound grief following news on the death of Bishop Laiser and that he will be remembered as a leader who used all his talents in serving his flock and all those under his leadership. He said although Bishop Laiser left us but we will always remember him for his substantial contribution as a spiritual leader in Tanzania who was always finding ways to serve members of his congregation. 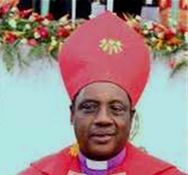 The message from the Christian Council of Tanzania said "the entire Christian Community in Tanzania has been saddened by the news of the death of our beloved Bishop Thomas Laizer." The message sent by Rev Manfred Scheckenbach on behalf of Evangelical Lutheran Church in Bavaria said as the leader of the North Central Diocese for a long time his diocese has achieved much for his church. The message partially read: "He has had a good relationship and connection to the government of the United Republic of Tanzania and also to international partners all over the world. His opinion was heard and his contributions during the meetings of Lutheran Mission Cooperation are well remembered. "The cooperation with the Evangelical Lutheran Church in Bavaria reaches beyond the beginning of the Diocese in Arusha Region, cooperation has been intensive and has enabled many common projects to be completed for the benefit of the citizens of the region of Arusha and Manyara and the believers within his diocese. "His merits for his church, ELCT, will be honoured by the responsible people. We are together in grieving the loss and ask God to comfort all those who mourn his death. May God, through the gospel of the resurrection of Jesus Christ, comfort his wife and children, the whole family and all who are touched by this loss," the message said. "See, the home of God is among mortals. He will dwell with them; they will be his peoples and God himself will be with them; he will wipe every tear from their eyes. Death will be no more; mourning and crying and pain will be no more, for the first things have passed away. And the one who was seated on the throne said. See, I am making all things new." The Rt. Rev. Dr. Thomas Olmorijoi Laiser was born at Ketumbeine, Monduli District in Arusha Region, on 10th March 1945 and attended Monduli Middle School from 1952 to 1960. He started Oldonyo Sambu Seminary 1965 - 1967 up to Standard X level before joining Makumira Lutheran Theological College for a Certificate in Theology from 1968 to 1972. 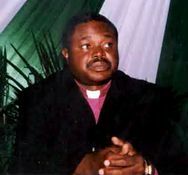 He was ordained as pastor at Longido Lutheran Parish on 4th January, 1973 and became Parish Pastor from 1973 to 1976. His first post was Olokii Lutheran Parish. He served as District Pastor between 1977 and 1978 when he was elected Assistant to the President, the position he held until 1980. Bishop Laiser obtained his Masters of Theology Degree (STM) at Wartburg Seminary in the United States of America where he studied between 1982 and 1984. From 1980 until 1987 Laiser was installed as President of Synod in Arusha Region; the position he held until 4th January, 1987 when he was consecrated and installed as first Bishop of Diocese in Arusha Region up to 07 February 2013 when he died of cancer. He was baptized on 14th April, 1952 at Monduli Parish. He was married to Mary Laiser and together they were blessed with five children (one of whom is deceased). 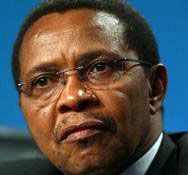 The President Dr. Jakaya Kikwete was expected to attend the funeral taking place at Arusha Mjini Kati Lutheran Cathedral on 15 February 2013.